The European Association of Urology has been holding this annual congress for the last 34 years. This is the largest and the most significant meeting of the European Association of Urology. About 15,000 urology specialist attend this congress each year. The EAU19 will provide opportunities for training, and educational exhibits teaching about the pharmaceutical breakthroughs that have happened since the last congress, and the latest technological advancements that have been discovered in the last year. 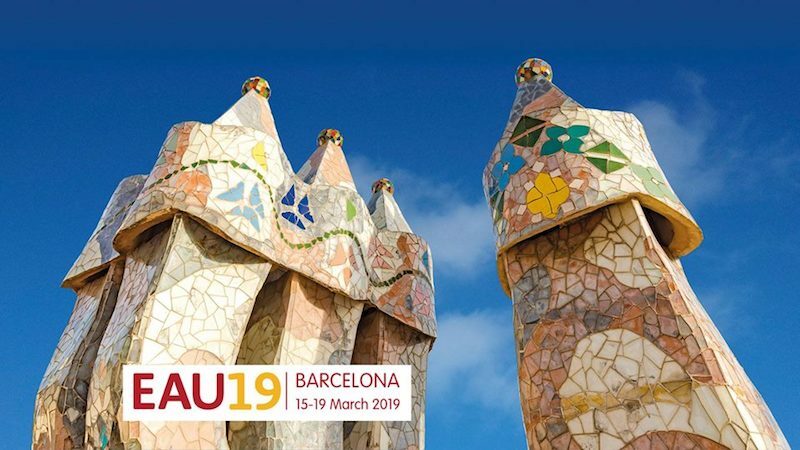 WHAT SCIENTIFIC PROGRAMS WILL BE AVAILABLE AT THE EAU19? The Urology Congress Barcelona will offer exhibits that provide hands on training that will increase your surgical skills and increase your skills with the latest technological implements. There will also be practice oriented courses that help you manage your private urology practice more efficiently. You can sit in on HD surgery sessions that will show you the latest discoveries in tools to use and methodology to use during surgical procedures. You can also attend state of the art lectures giving by experts on urology and everything that pertains to urology including patient evaluation, surgical needs, and up-to-date treatment strategies. Online registration for the EAU Congress Barcelona began on October 1st 2018. The early fee deadline for the EAU CONGRESS is January 15th 2019 and the late fee deadline is February 12th, 2019. Online registration is possible until March 13th 2019. Onsite registration begins on February 13th 2019 and ends on March 19th 2019. You can begin to register for the eau congress on October 1st of 2018 and you will continue to get the early registration fee until January 15th, 2019. If you register early you will pay €883.30 if you are an active/affiliate, a junior or medical student will pay €181.50, and a PhD researcher the cost is €223.85. If you wait to register until January 16th through February 12th 2019 your fees will be active/affiliate €1,123.20, junior/ medical student’s fee will be €181.50, and the fee for PhD researchers will be €278.30. Barcelona has more than 10,000 taxi cabs serving the city. They also have a metro subway system that is fast and efficient and a bus line. If you prefer to hire the services of a private car, the concierge at your hotel will be able to help you make your arrangements. You have a wide range of accommodation options to attend the EAU CONGRESS in Barcelona, yet we would highly recommend three of the nicest luxury hotels in the city. Located in the very heart of Barcelona, they all provide a host of amenities that will meet your needs and desires for a pleasant stay and are strategically located to easily reach the Convention Center, both by private and public transport. Did we mention Monument Hotel even boasts two Michelin starred restaurants? Learn more here!